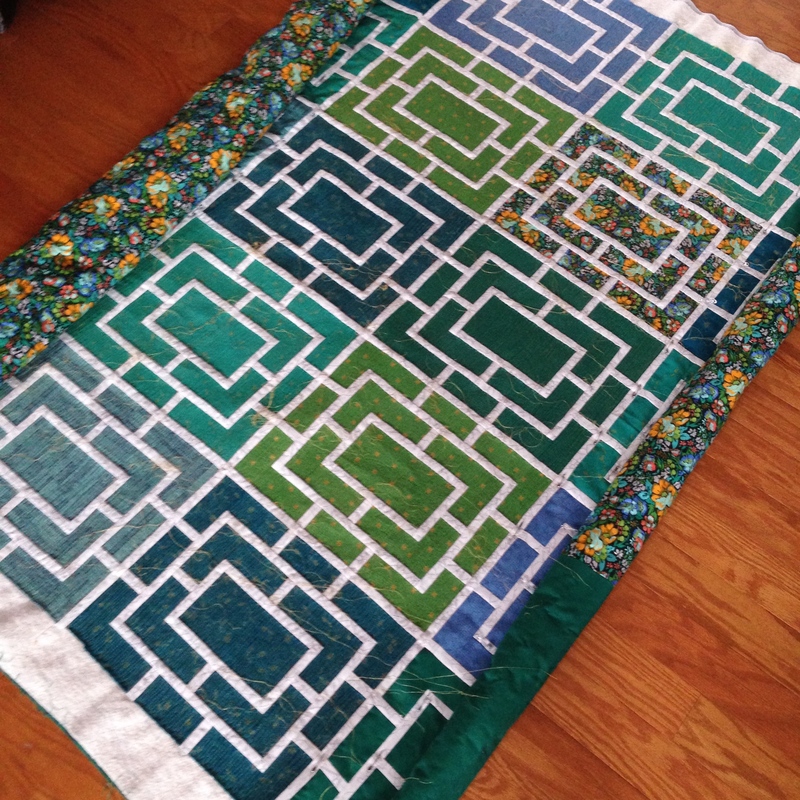 I had set aside time this week to finally quilt the green Peek quilt, but I was struggling with exactly how to quilt it. 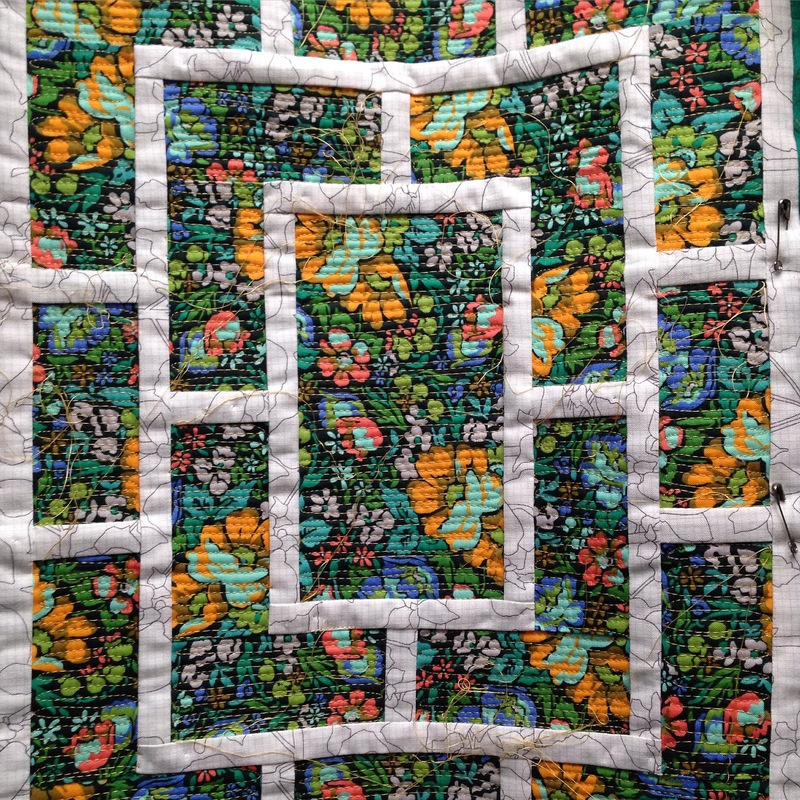 I wanted to leave the skinny piecing un-quilted for added texture and depth for the design, but nothing that I was skilled enough to do looked right. I was running out of time. And then I made a brilliant and stupid decision. I would free-motion matchstick quilt the blocks. It’s brilliant because it really maximizes the texture. It looks beautiful. It looks special and gives it a real “wow” factor. 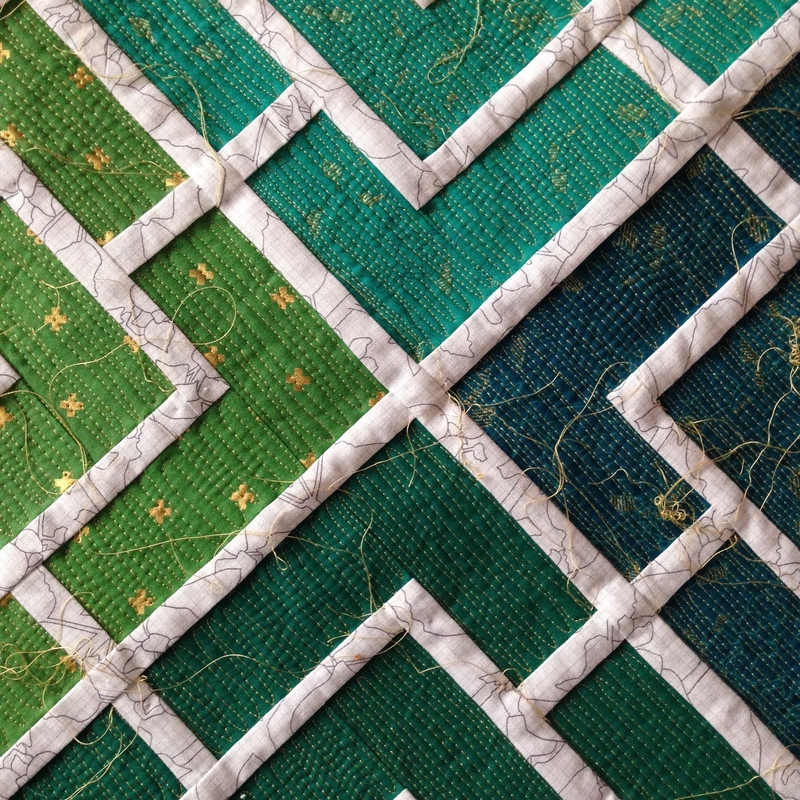 I had admired all the dense quilting at Quiltcon and I think it got into my head. It’s stupid because it. takes. FOREVER. 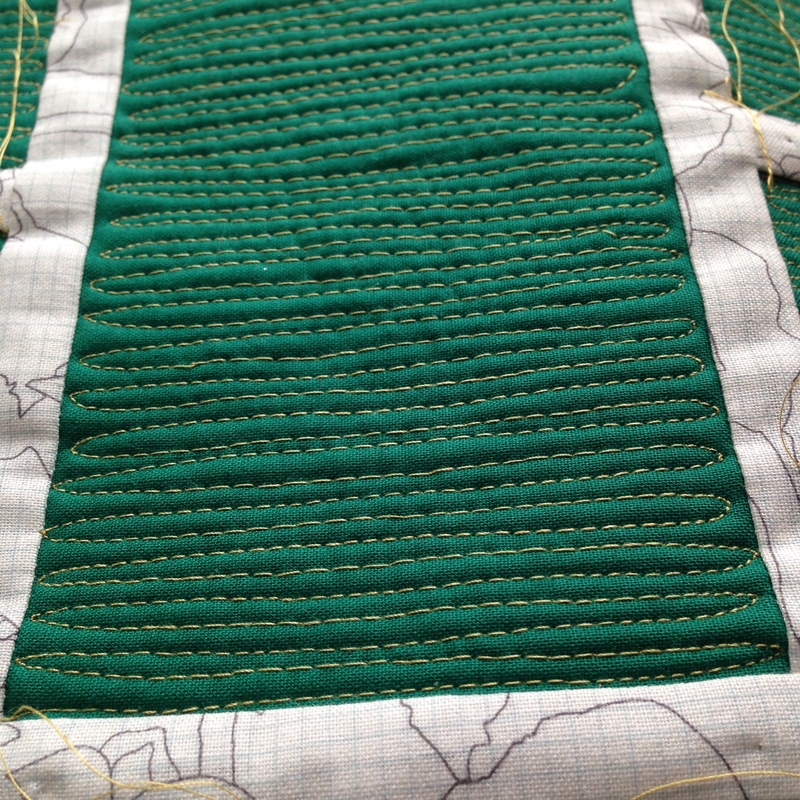 This is not the kind of quilting to do when you have a deadline. Or kids with half-days off from school for teacher conferences. Or just about anything else you should be sewing (and the list is growing). Each block takes about an hour, though I’m getting faster. This week I finished 10 of 25 blocks. That’s 40% of the way done. The good news is that working in tiny spaces means not much quilt wrangling. I can position it and make small movements. The second piece of good news is that my backup thread (Aurifil #2920, Light Brass) has arrived and I’m ready to press on. I’ve been using these photos as progress shots and inspiration to keep going. I’ve also been using the brainless time to think up new projects and topics I’ve been wanting to explore here. But every spare moment until this baby is done will be spent going back and forth, back and forth. Back and forth. Fack and borth. If you don’t hear from me next week send help. I love this so much that I am quilting a mini quilt in a similar style. I really want to feel the texture you have with the densely quilted / unquilted areas, so I’m just having to recreate it on my own! Keep going and posting on IG – it is fun to cheer you on and see your progress. I can’t wait to see it in person! It looks beautiful and you are going to be so pleased with it when it’s done. How do you keep your quilt rolled up while quilting? Your quilting looks great already! I’m sure once you’ll have finished, you’ll be very happy with the result in spite of the numbing going back and forth!! Oh man but it looks SO cool, you are going to get such a neat 3D effect. LOL!! Often, the most brilliant ideas also leave us shaking our heads in disbelief, saying, “what on EARTH was I thinking! 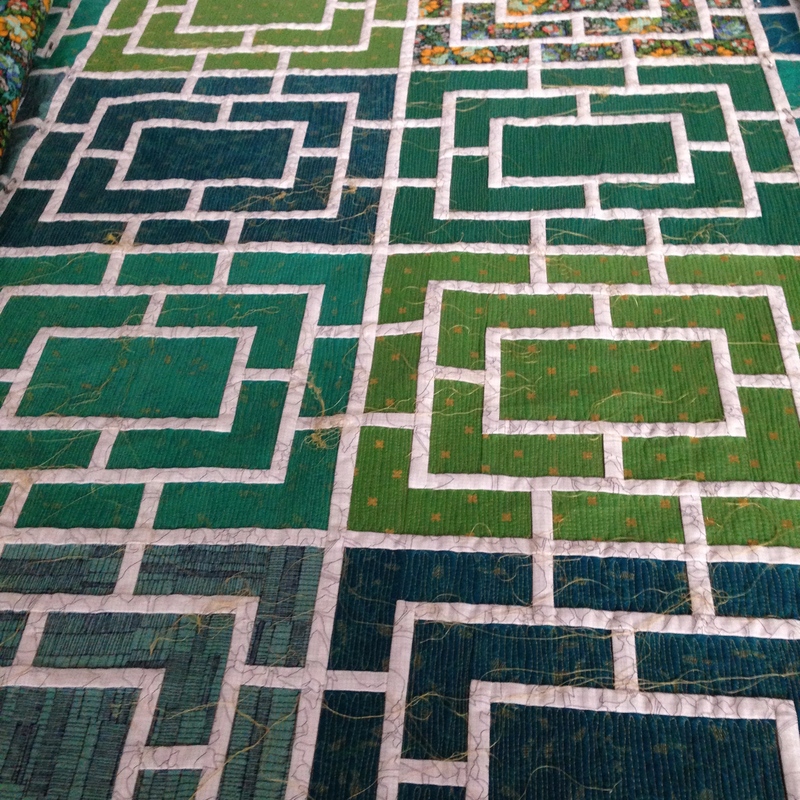 ?” I LOVE the effect of the matchstick quilting, so you definitely made a great decision. The fack and borth part will.be.worth.it. I am going to try to remember to read this post again, though, before deciding to matchstick quilt a large quilt of my own, though. 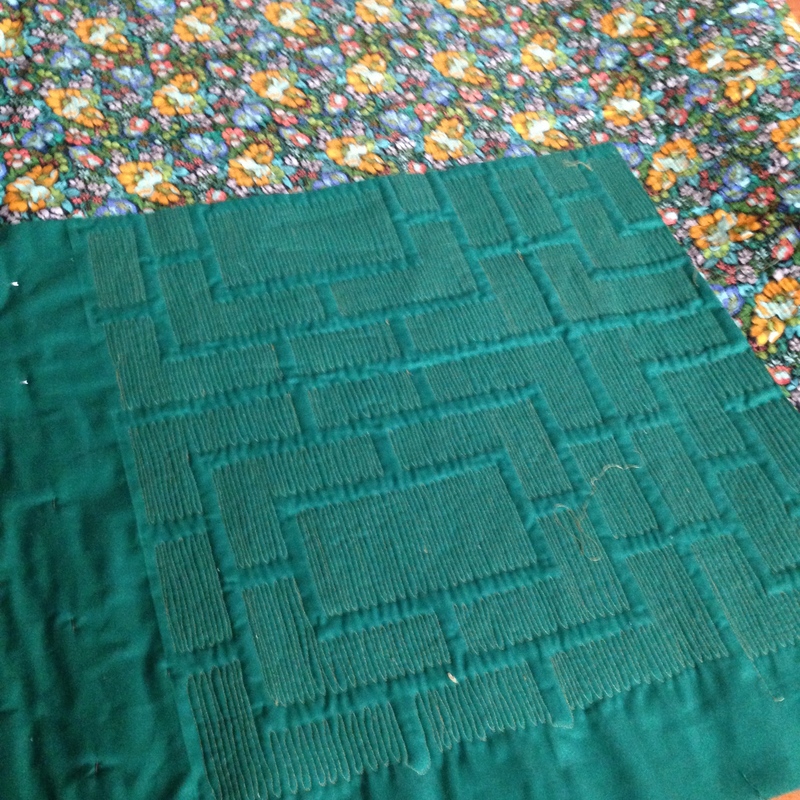 I agree the gorgeousness of the dense quilting gets in your head as “nothing will look as fabulous as this!”. Forge on!! it looks amazing! press on!